The demand for vegetables and fruits is increasing worldwide due to increased population growth. At the same time, water for irrigation is becoming more scarce and artificial fertilizer more expensive. Therefore, irrigation according to plant requirements is essential in order to achieve higher production. In addition, the use of water and nutrients is reduced. To achieve this, you need a system that provides insight into the effect of your irrigation strategy. A flexible computer that controls irrigation and saves you time. The iSii aqua compact offers your these benefits. The iSii aqua compact ensures that your crop is given an optimal dosage of water and fertilizers. 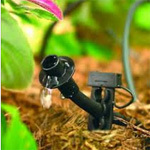 Based on the plant’s requirement, you select the proper starting moment and the amount of irrigation. Thanks to its modular structure, the system can be completely aligned with your company’s circumstances. For example, the iSii aqua compact can easily be expanded with supplemental hardware and software, but also with climate controls such as ventilation control. 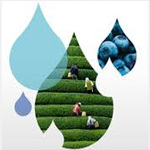 Water and fertilizers are essential to the growth of your crop. However, these resources are becoming increasingly scarce worldwide. Modern horticulture has various possibilities for saving water and fertilizers. For example, re-circulation of drain water reduces consumption by at least 30%. Exact alignment of the plant’s needs and the irrigation also provides an important contribution to savings. An associated advantage is that an optimal irrigation strategy will increase your crop performance and your profit. With sustainable automation solutions from us, you can regulate the irrigation in your greenhouse and in your open field in a targeted manner. The innovative iSii software precisely coordinates the dosage of various water sources such as rainwater, well water and drain water with the demands of the crop. Wherever possible, iSii also regulates the complete re-circulation and disinfection of drain water. The advanced software anticipates changing conditions pro-actively. For example, the frequency and duration of irrigation sessions are adjusted prior to times of more or less sunshine. Based on the measured water intake of the plants and the water content of the soil or substrate, the irrigation can be tailored even more precisely to the growth process. You can easily leave responsible and sustainable water management to the Hoogendoorn automation systems. Your plants are fed the right amount of water and fertilizer at the right moment. So you can achieve optimum crop results under all conditions and save on the consumption of water and fertilizers. As a horticultural entrepreneur, you understand better than anyone that the greenhouse climate has an immense influence on the condition of your crops. Air temperature, humidity, CO2 content and the proper balance of growing lights are essential conditions for a healthy and vigorous crop. By regulating your greenhouse climate in a proper manner, you reduce the chance of disease and plagues and you ensure the quality of your production. Moreover, you save precious energy. 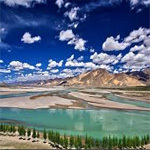 You can achieve an efficient coordination of all climate factors with the iSii process computer. The intelligent iSii control software and the precise sensors allow for perfect cooperation of all your climate processes such as heating, shading, ventilation and lighting. Detailed overviews and graphs provide you insight into the conditions inside and outside the greenhouse. The climate regulation not only takes the current weather conditions into account, but also weather forecasts. For example, the greenhouse temperature can be adjusted according to the type of weather for the coming days and the windows can even be closed before an approaching rainstorm. With the iSii process computer, you get complete control of the cultivation conditions in the greenhouse. At any moment of the day, regardless of the conditions, you can create an ideal growth climate fully tailored to the plants’ requirements. With efficient climate regulation, you improve the quality of your product, lower your costs and increase crop efficiency.